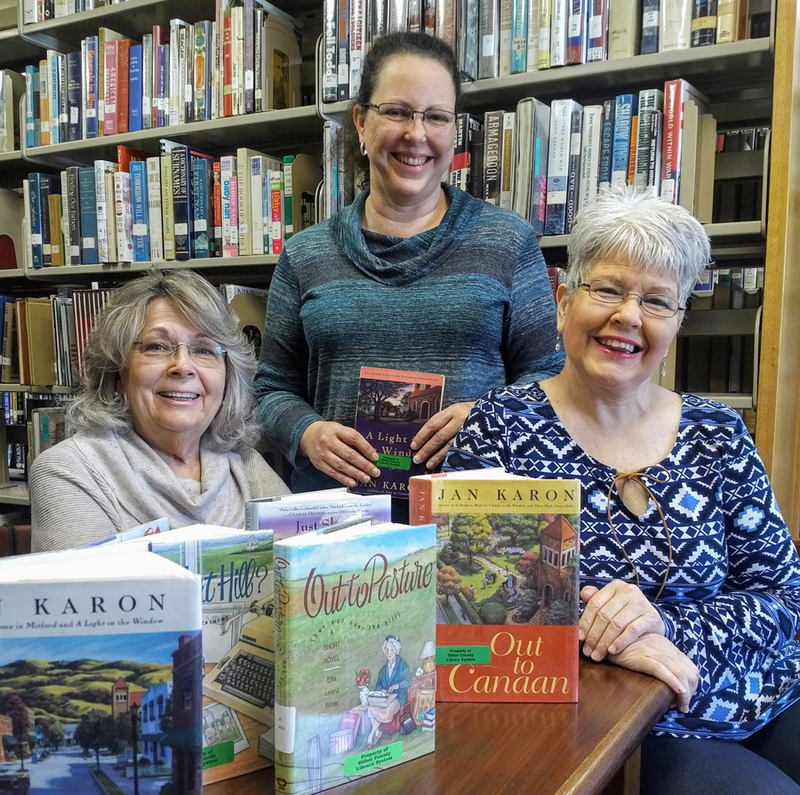 2018 was a great year for the Latta Library Book Club. The Book Club meets monthly on the fourth Thursday of each month at the Latta Library. In 2018, we spent much of our time exploring Jan Karon’s Mitford series by reading At Home in Mitford, A Light in the Window, These High Green Hills and Out to Canaan. In between the stories about Mitford, we examined southern culture and relationships at the FairAcres Retirement Home in Out to Pasture but Not over the Hill by Effie Leland Wilder and laughed heartily with Ann B. Ross as she introduced us to Miss Julia and her family in Miss Julia Speaks her Mind. Other books we enjoyed this year included Alexander McCall Smith’s The No.1 Ladies’ Detective Agency, The Florabama Ladies’ Auxiliary and Sewing Circle by Lois Battle and Home to Harmony by Phillip Gulley. As our group grows, we discover and share our love of books with each other. Our group is very social and enjoys a good snack to go along with a lively discussion. Sometimes, the food is almost as much of a draw as the books! The most popular book we read was Jan Karon’s, At Home in Mitford. The life of Father Tim and the charming town of Mitford captivated us. We read the first four books in the Mitford Series this year and will continue the series in 2019. The appeal of Ms. Karon’s books is that they are set in the small town of Mitford that is populated by eccentric personalities who tackle the challenges of day to day living with humor and grace. The stories are told from the perspective of Mitford’s Episcopal priest, Father Tim, who is a friend we’d all like to have in real life. The Latta Library Book Club is a fun group that is thankful for the friendships we made in 2018 and is looking forward to sharing our love of good stories with each other in the coming year. The next meeting is January 24, 2019 at 3:30 p.m. at the Latta Library. We’ll be reading the next book in the Mitford series, A New Song, by Jan Karon.